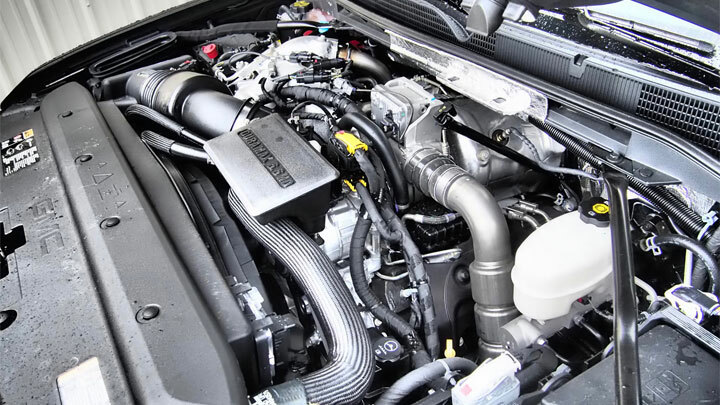 The Duramax diesel engine is predominately found in GMC trucks. It was introduced in 2001 and has gone through many updates. The current version (2017+) is a 6.6L turbo-diesel V8 which has some of the best torque and horsepower you could ever want in a diesel engine. There is also a smaller 2.8 liter version of the Duramax diesel turbo-diesel engine that can be found on 2016+ Chevy Colorado and GMC Canyon midsize pickups. Rather than the 910 pound-foot of torque found with the 6.6L engine, the 2.8L 4-Cylinder Turbodiesel offers 369 pound-foot of torque. However, both give users great gas mileage as we as the power you would expect from a diesel engine. When people shop around for trucks of any size, in addition to torque and towing capacity, they likely want to know the miles per gallon that they’ll get out of it. Duramax diesel engines are made to enhance fuel efficiency so that you get the most miles per gallon out of your truck that is possible. Below are 5 common vehicles which have a Duramax diesel engine in them. Because manufacturer based MPG numbers are usually unrealistic, the fuel mileages shown below are taken from hundreds of actual owners of the vehicles themselves, millions of miles driven, and actually putting the trucks through typical days of work (courtesy of Fuelly.com). Note: Obviously, the actual fuel economy achieved is based on many factors (speed, driving style, weight, towing, etc.) so your results may vary but this should give you a good idea of “real-world” usage. General Motors owns the brand and rights to the Duramax diesel engine. The company currently has a joint venture with the Japanese motor company called Isuzu. This joint venture is referred to as DMAX, which is the manufacturer of Duramax diesel engines. 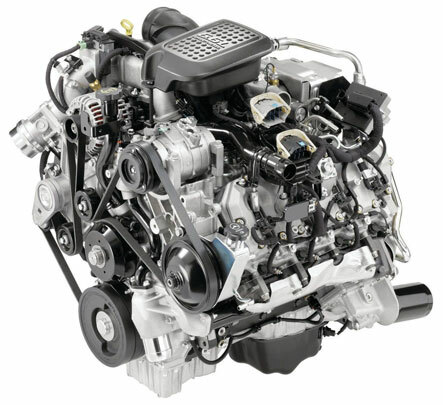 The engine became popular after they were first installed in the 2001 GMC and Chevrolet trucks. Ever since then, GMC has given people the option to have a Duramax diesel engine in all the medium-sized trucks, vans, and pickup trucks that they sell. If you come across this option, be sure to take it. While driving in the right most lane on level highway at 65 miles per hour I can pull 24 mpg with the Duramax diesel 6.6L in my Silverado 2500HD truck. I have a 2011 when it was new I could get close to that. Now after a few software updates, 16 best. I was hoping somebody had tried success getting better mileage. I’m picking up a 2008 with 220k on it this week. If you don’t mind my asking, what year is your truck, Jim?